We have been out three times over the past few days. 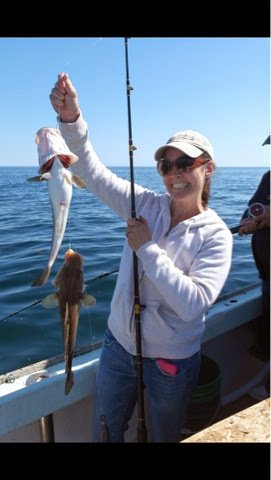 Fishing has been up and down luckily the weather has been fantastic on the ocean. Saturday we had a striper trip and managed to land 5 bass and keep one. We had no problem catching mackerel for bait. There were only two people on the boat so everyone got a chance to hook and real in multiple stripers. 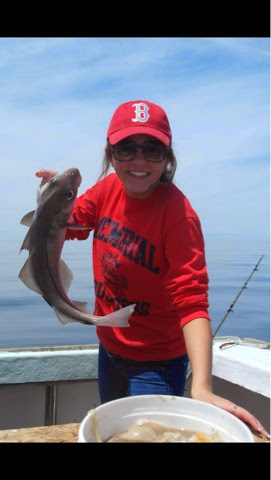 Sunday we headed offshore and ground out a pretty decent catch. At no point durning the trip did we have a fast bite of keeper sized fish, however we did keep the same steady pace all day and it paid off in the fillet bags on the way home. 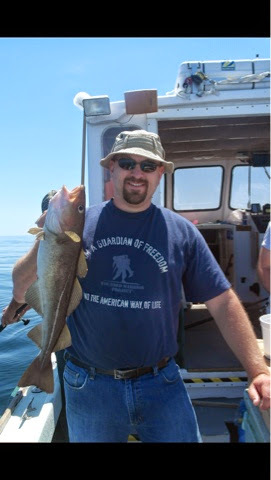 Nice haddock, cod were the main catch. We did manage a handful of jumbo redfish and 3 large cusk. Captain Derek had the boat today on an all day charter. He reported similar fishing to what we had Sunday with a slow grind it out kind of bite. Said they worked hard for what they caught and covered a ton of bottom. Fish finder looks great almost everywhere we go and it's only a matter of time before these things turn on and we get some slammer days! We have some open space on Sunday (fathers day, there's a gift idea for you!) and plenty of room durning the week! Come on out, it's starting to feel like summer finally!